BELL, ROBERT, surveyor, journalist, and politician; b. in 1821, probably in Strabane, County Tyrone, Ireland, son of Robert Bell and Catherine Wallace; m. in 1849 Margaret Waugh Buckham by whom he had two daughters; d. 25 Feb. 1873, in Hull, Que. Robert Bell’s parents emigrated to New York when he was still young, and in 1832 the family settled on a farm near Kemptville in Upper Canada. He attended local schools and on 16 June 1843 qualified as a provincial land surveyor. Bell’s last important survey again brought him into the area west of Bytown. In November 1850 he was asked to survey a line for a road from the Ottawa River in Horton Township to Opeongo Lake, a road which, it was hoped, would be continued to Georgian Bay near the mouth of the French River and would open up “the interior of the Ottawa and Huron country, benefitting equally the farmer and the lumberer.” On this expedition, which took from January 1851 to April 1852, Bell found “many tracts of excellent land” and “remarkably well timbered” regions. He retained an interest in surveying and often advised the assistant commissioner of crown lands, Andrew Russell, on the subject, but Bell’s energies had shifted to journalism. In 1849 he purchased the Bytown Packet from Henry J. Friel* and John Gordon Bell, and in it he expounded his ideas for promoting the settlement of the waste lands between Bytown and Lake Huron and for advancing the interests of Bytown and the Ottawa lumber trade. In February 1851 the newspaper became known as the Ottawa Citizen. Bell also undertook to promote the construction of a railway from Bytown to Prescott where it would connect with the railway at Ogdensburg, New York. Ottawa valley lumbermen would thus be provided with easier means of transport to the increasingly important American market. 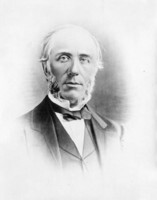 Bell was named secretary of the provisional committee of the Bytown and Prescott Railway (later the Ottawa and Prescott Railway) in 1850. When the railway was chartered in 1851 he was named its secretary, and he, more than anyone else, saw to its completion. He was later president of the line for many years. 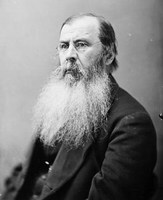 Bell ran for the House of Commons for Ottawa City in 1867 but his wife was ailing and he was kept from the hustings and defeated. He had given up the editorship of the Citizen to I. 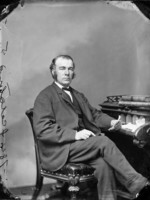 B. Taylor in 1861 and had sold the newspaper to him in 1865, the same year that the Ottawa and Prescott Railway, of which he was still president, was foreclosed by the bondholders. Disheartened he retired. After his wife’s death in 1868 he went to live with a daughter in Hull, “sunk altogether out of the ken of the world,” and died there at the age of 52. Ontario, Department of Lands and Forests, Surveys office, field note books, nos.86, 1895, 2202, 2203; Instructions to land surveyors, from 6 Nov. 1844 to 24 Oct. 1861, pp.93–96, 171–73; map no.020–24, B38. PAC, RG 31, A1, 1851, Ottawa City, West Ward, 270. PAO, RG 1, A-I-6, 22, 24–29; A-V, 9. Canada, Province of, Parliamentary debates, 1861–66. Muskoka and Haliburton (Murray). Packet (Bytown), 1849–51. R. W. Scott, Recollections of Bytown; some incidents in the history of Ottawa (Ottawa, ), 3–9. Times (Ottawa), 26 Feb. 1873. Can. parl. 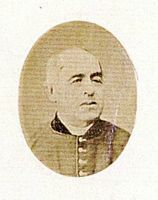 comp., 1864. Mitchell & Co’s county of Carleton and Ottawa city directory, for 1864–5 (Toronto, 1864). “The Ottawa Citizen” directory of Ottawa . . . 1863 (Ottawa, n.d.). Ottawa city and counties of Carleton and Russell directory, 1866–7, comp. 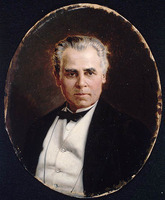 James Sutherland (Ottawa, 1866). H. R. Cummings, Early days in Haliburton (Toronto, 1963), 3–4, 7–13, 178–80. 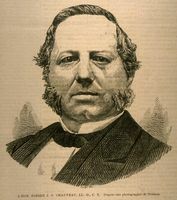 Andrée Désilets, Hector-Louis Langevin, un père de la confédération canadienne (1826–1906) (Les cahiers de l’Institut d’histoire, 14, Québec, 1969), 153–55, 226. J. L. Gourlay, History of the Ottawa valley, a collection of facts . . . events and reminiscences for over half a century (n.p., 1896), 124–26. C. B. Sissons, Church & state in Canadian education; [an historical study] (Toronto, 1959), 138–41. “Robert Bell,” Ont. Land Surveyors Assoc., Annual Report (Toronto), no.40 (1925), 106–9. “William Bell,” Ont. Land Surveyors Assoc., Annual Report (Toronto), no.38 (1923), 135–38. 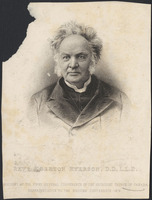 Henri Pilon, “BELL, ROBERT (1821-73),” in Dictionary of Canadian Biography, vol. 10, University of Toronto/Université Laval, 2003–, accessed April 20, 2019, http://www.biographi.ca/en/bio/bell_robert_1821_73_10E.html.